Why your company may need additional protection. In an increasingly unstable world, a company’s standards of protection should be at an all-time high. Armored vehicles are essential for ensuring the safety and are utilized by a range of actors including corporations, banks, law enforcement personnel, and high-profile individuals. In recent years, the sales of armored vehicles have been growing, illustrating the ways in which many companies are realizing the benefits of using armored vehicles. Listed are a few of the reasons why your company should consider investing in the additional protection of an armored vehicle. If your company does work in unstable areas of the world it is well worth considering an armored vehicle. The armed conflicts database states that in 2015 there were 40 armed *conflicts worldwide with around 167,000 fatalities. These conflicts were mainly constrained to Latin America, think of Colombia and Mexico, the Middle East with the largest issue being Syria, and the African continent, notably South Sudan and the Democratic Republic of Congo. These conflicts are not limited to these regions, see the map and expanded description here. High profile individuals are more at risk of kidnappings in these areas and are safer in an armored vehicle. However, even if your company doesn’t engage in risky activity in these regions (but especially if it does) there are still the indirect casualties of these conflicts to consider. Company CEOs and executives are most at risk when they travel in volatile regions. Oftentimes, companies will have manufacturing locations in low-income country’s where crime rates are high. A key example of this is Mexico where many American car companies have manufacturing facilities. High crime rates due to drug cartels have caused American executives to purchase armored vehicles themselves for their travel in Mexico. In these cases, it’s important to note that armored vehicles don’t necessarily have to be the big boxy vehicle that more closely resembles a tank; it’s also possible to purchase an armored SUV for instances when you want to blend in. When banks pick up or drop money off at ATMs, they use armored vehicles for security purposes. If your company is transporting anything valuable it should always be done in an armored vehicle. An armored vehicle will squander any potential threats and keep your company’s cash safe. Just like militaries use armored vehicles, private security firms should also invest in the safety of their employees with an armored vehicle. Security personnel are often in high-risk situations, and armored vehicles reduce the risk of vulnerability. With an armored vehicle, a security team’s presence becomes more substantial in an area. While there are factors to consider when purchasing an armored vehicle, and you may feel like it’s not necessary for your company. However, as the world becomes more and more uncertain, it is better to be safe than sorry. 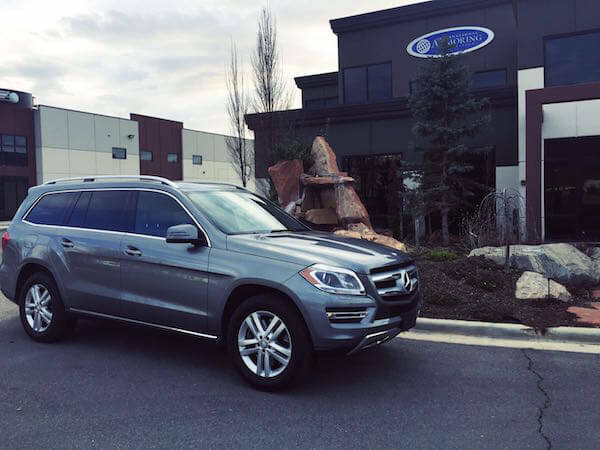 The additional protection armored vehicles provide keep your company’s most valuable assets safe—your people.